The villas in Italy presented here are the result of a careful selection of luxury italian villas, country homes, elegant apartments and Tuscany villa rentals that lie in the most spectacular regions of Italy. 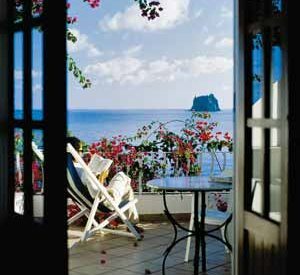 Our selection method for the Italian villa rentals published here involves many hours of patient work spent in frequent visits and inspections by our staff. This selection of exceptional Italy villas is the result of our continuing work and the many years of experience that we place at your service. We offer a sophisticated on-line availability service which is directly connected to our booking system, so you can select your villa according to actual availability. www.villeinitalia.com contains a catalogue of about 500 properties in various regions of Italy: Tuscany and Umbria, Lazio, Amalfi Coast and Gulf of Naples, Apulia and Basilicata, Sardinia, Sicily, Venice, Lake Garda, Adriatic Coast and Liguria. The properties we offer vary from the most luxurious villas to small and romantic apartments in particularly panoramic positions or of special cultural interest or in especially beautiful countryside; all you have to do is decide on the region where you would like to spend your holiday to open up a wide choice of interesting proposals. The general index of the region or of an individual area within a region is ordered by the number of bedrooms available in the individual properties, showing the larger villas first and descending gradually to the smaller apartments at the end. Every property is described in detail, both as far as internal layout is concerned and also putting the property in its geographical context and backed up by comprehensive photographic material, all of which gives you a realistic idea about the villa you are choosing. However please do not hesitate to contact us for further details, our staff is well-prepared and knowledgeable, and capable of answering any questions you might like to ask. We make no booking charges, unlike many other companies in this sector. Secondly, we offer insurance against cancellation of the booking at a good rate (3.5%). Thirdly, you can rely on our efficient booking procedures. Send us your request with the properties chosen and we will return to you immediately via e-mail or fax the documents necessary for making the booking. The possibility of paying on-line by credit-card, using a secure bank system, allows you to book directly from your own home simply and quickly.